Get The Basics of Portrait Photography Right. You’ve probably asked yourself what is the best aperture and focal length to use if you’re just getting started in portrait photography. You can produce very different effects with your subjects by changing the aperture and focal length. Depending on the style of portrait you’re planning to take, getting the appropriate focal length and deciding whether you want your subjects to be separated from or be part of their surroundings can be crucial. In the creation of a beautiful portrait the lens itself plays a vital role. However, choosing the most appropriate subject and location is also paramount. To make your subject the supreme focus of attention you might want to compress and blur whereas if you’re taking an environmental portrait you might want to show more of the background around your subject. The shape and proportions of your subject’s face will be readily affected by different focal lengths in addition to affecting how much of the background is visible in your shots. A telephoto focal length can produce a more flattering result than say a wide-angle focal length which can give a caricature effect if used wrongly. Standard zooms and kit lenses can achieve stunning results which is important to remember when it comes to cost, although, using a nice fast prime lens is desirable. Which aperture you select is just as important as which focal length you choose to use. You can control which parts of an image appear in focus by using depth of field. What is the best aperture for portraits? If you want to create a nice shallow depth of field a wide aperture such as f/4 or f/2.8 is best (f/1.8 or f/1.4 if you’re using a fast prime). This means that the areas before and beyond the point of focus that also appear sharp will be very small. This will keep only your subject sharp and is ideal if you want to blur the background. However you’ll need to make sure your focusing is tack-sharp as it’s unforgiving. Focus on the eyes. For the best of both worlds, using something close to an aperture of f/8 is best. You’re less likely to have to compromise on shutter speed or ISO, the focus being more forgiving, with there usually being a narrow enough depth of field to create a sense of separation from the background. This medium aperture is a good starting point if you’re using a setup with studio lights. If you want other objects in your frame to also appear in focus a very small aperture such as f/22 is ideal. The introduction of noise (or, grain) will occur by increasing your ISO. It might be advisable to use a tripod to avoid blur since a slower shutter speed is usually necessary when shooting at smaller apertures. What is the best focal length for portraits? A wide-angle is not normally the “go to” lens for portrait photographers. Things such as foreheads and noses will appear larger if you’re too close to the subject which makes for a less flattering portrait even if you’re using the best wide-angle lens. Wide-angle lenses do have their uses in portrait photography; they can keep subjects relatively small in the centre of the frame which is ideal if you want to show someone in their surroundings which is common to most environmental portraits. For a full-frame model something around 56mm on a camera with an APS-C sensor is ideal; short telephoto is typically the portrait photographer’s favourite focal length. As well as the perspective you get, it’s just as much about how close you end up being to your subject. A comfortable working distance from subject to photographer can usually be achieved using something like 85mm. 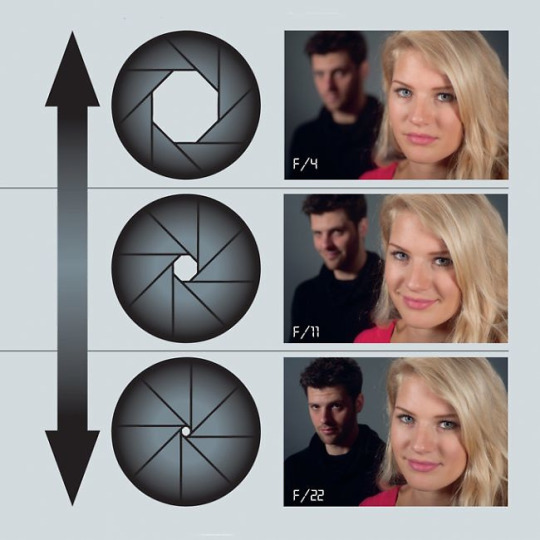 For portrait photographers who want to compress the perspective a long focal length is a great choice. This can often be more flattering for your subject. A blurred part of an image can also look lovely so you can get stunning results if you’re using a wide aperture such as f/2.8. It’s also to easier to create a blurred background with a telephoto lens. So, there we have it. Plenty of different options you can experiment with to help you find the right effect for your portrait photography! This entry was posted in Photography tips and advice, Recent Posts, The Business of Photography and tagged aperture, focal length, portrait photography. Bookmark the permalink.